Looking for ways to keep your family busy this summer? I’ve got some summer bucket list ideas for you today that are sure to keep the kids happy – and help you keep your sanity intact! This summer will be the first year in my adult life that I’m not heading into summer exhausted after a full year of teaching. I’ve been working from home for about a year now (crazy!) and I’m absolutely loving it – but I’m finding that it’s giving me a new perspective on summer! For example, instead of counting down the minutes to freedom and looking forward to lazy days of doing nothing, I find myself wondering how in the world I’m going to keep an energetic four-year-old busy all day long while still getting my work done (and growing a human in the meantime). Next week is his last week of school until September (meaning, it’s just me and him until after the baby comes! ), and I’m not gonna lie – I’m getting a little nervous about keeping him busy without resorting to watching tv all day long! If you’ve been reading for a while, you’ll know that I’m a big fan of making seasonal bucket lists. We always do a big activity advent around the Christmas season, and for a while there we were really good about making a new bucket list every season to keep our family busy. I stopped the tradition for the last few seasons, but I think this summer will be the perfect time to get back to it – I’m going to need ideas to keep myself and Jackson busy on these long summer days, and he’s going to want to be entertained! So, since I’m sure I’m not the only one looking for ways to keep the kiddos busy during the summertime, I thought I’d share my summer bucket list ideas with you! 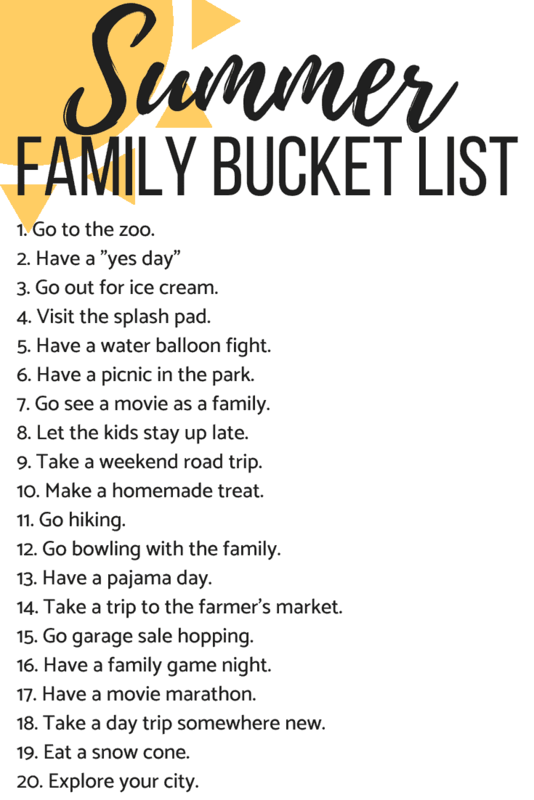 I think we’ll be printing ours out and putting it up on the fridge – Jackson is old enough to understand the concept of the bucket list now and I think it’ll be exciting for him to help choose a few things to do each week. Most of the ideas are pretty simple things that we’d probably be doing anyway (like going out for ice cream or going to the splash pad), but there’s something about having it on a list that makes it feel a lot more special! Our summer is extra long thanks to a preschool schedule that releases a few weeks before public schools and starts after, but I’d recommend counting how many weeks long your summer vacation is and trying to split the list up accordingly. It will help the kids pace themselves a little better (so you don’t cross the whole list off in the first two weeks) and help you ensure that your family doesn’t get too busy! 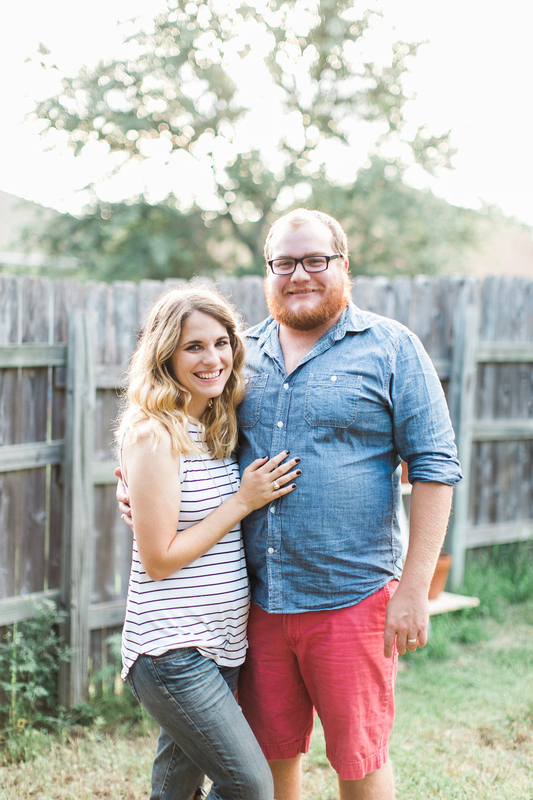 For us, we’ll be tackling 1-2 things per week – and I’ll probably shoot for doing it on days where we don’t already have something happening (like story time at the library, swim lessons, or another pre-planned event). Be sure to leave your summer bucket list ideas in the comments, too! It’s hard for all of us to keep the kids happy during the summer, so let’s crowdsource this thing! What are some things you’re planning on doing with your family this summer? I stayed home with my children until they were teenagers. I can’t tell you how invaluable I think it is to teach children to be content to be quiet. It’s wonderful to have a bucket list and do fun things together, but I found that my kids could find contentment in entertaining themselves sometimes too (every day!). I think it has served them well as they are happy, content adults. Enjoy that precious summer time together before you send them back out into the big, bad world:) You’re growing that human too! I absolutely agree, Carole! We’re big on downtime in our home and really emphasize creative, independent play. It’s so important!